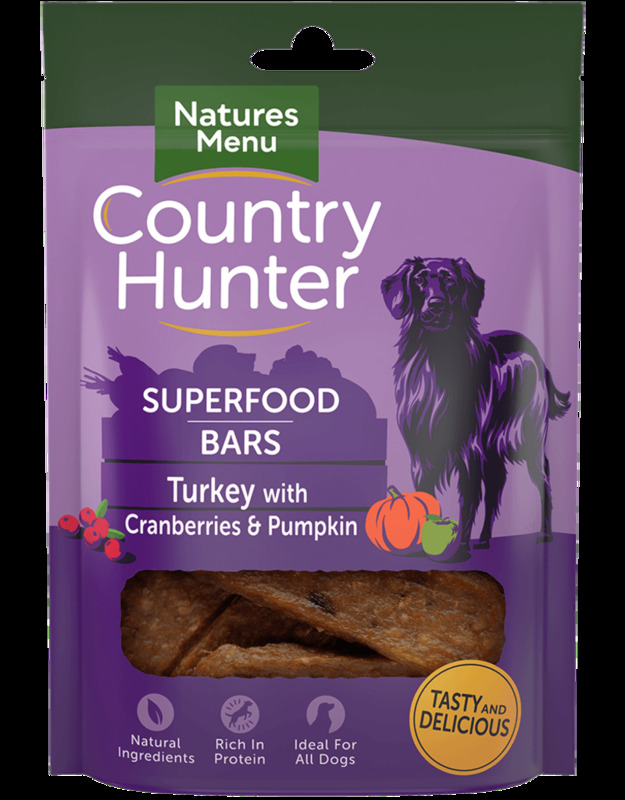 Nutritious air-dried superfood bars made from tender turkey cuts deliciously blended with cranberries and pumpkin plus other wholesome fruits, vegetables and superfoods for a perfect healthy snack. 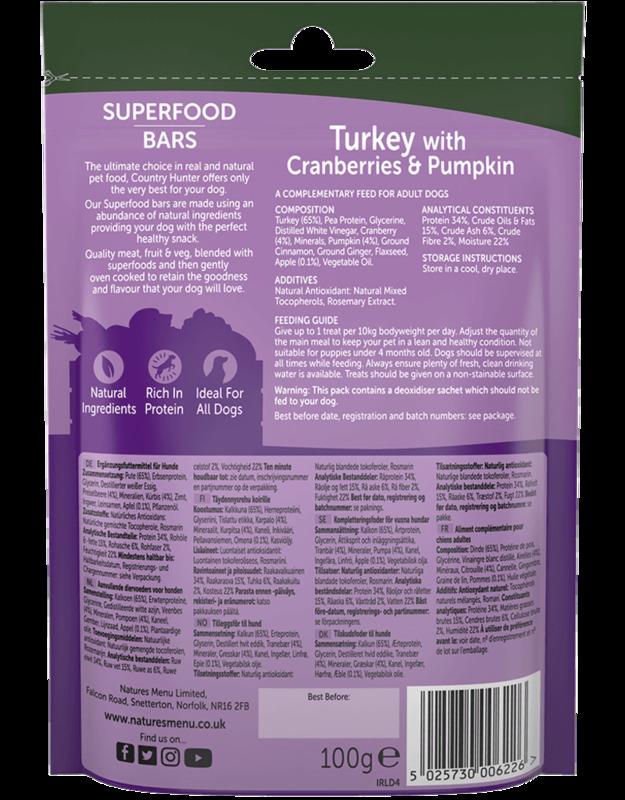 Superfood bars use tender turkey pieces and a natural mix of cranberries and pumpkin to create a nutritious treat full of protein. 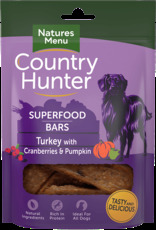 Each bar has an abundance of wholesome fruits, vegetables, superfoods and minerals including cinnamon, ginger and apple for a deliciously healthy snack. 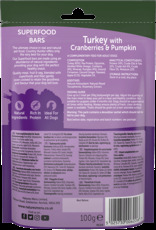 Turkey (65%), Pea Protein, Glycerine, Distilled White Vinegar, Cranberry (4%), Minerals, Pumpkin (4%), Ground Cinnamon, Ground Ginger, Flaxseed, Apple (0.1%), Vegetable Oil. Protein 34%, Crude Oils & Fats 15%, Crude Ash 6%, Crude Fibres 2%, Moisture 22%.